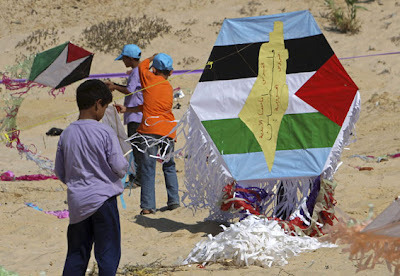 It was an unlikely place to shatter a world record, but the beaches of the Gaza Strip were the venue for thousands of Palestinian children who flew the largest number of kites simultaneously from the same place. The record that once stood at 713 has been broken, thanks to the efforts of the United Nations Relief and Works Agency (UNRWA) and about 6,000 kite-flying children. The event is part of the Summer Games programme run by UNRWA - an activities and curricular programme set up for students during their break from the academic school year. More than half of Gaza's 1.5 million people are under the age of 18 - so there is no shortage of potential record-breakers. Although only 200,000 are actually enrolled in UN-operated schools, there are nearly 240,000 children who participate in the Summer Games, proving that the UNRWA programme has been a popular activity during the summer break. Thousands of teachers give up their summer holidays to partake in the programme each year that is aimed at fostering a positive summer experience for Gaza's children. But unlike elsewhere in the world, the children and the people of Gaza are now entering their third year under an Israeli-imposed siege and blockade, and are still reeling from the devastating war just seven months ago. While the summer programme helps students who have fallen behind during the school year to catch up academically, the kite-flying event was a genuine world record attempt. The Guinness Book of World Records was invited to verify the attempt, but due to a security advisory by the UK government warning against any travel to the Gaza Strip, they instead sent event organisers very clear guidelines in order for the record to be considered. More than 119 schools were allotted open areas along the beach for their students. Independent observers organised by the International Committee of the Red Cross supervised each school’s area. Every child’s name was registered. The kites had to remain in the air for 30 seconds all simultaneously - and when it came time for the record - the media, fans, and above all the children were not disappointed. 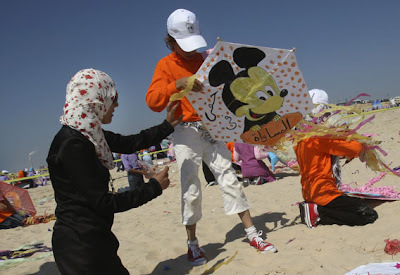 UNRWA officials say they are confident the record has been broken with some estimates putting the number of kites flown to around 4,000.
International media, including Al Jazeera English, witnessed the record-breaking event. The world record event, however, was not just about records, say organisers. They say it sends an important message to the world. 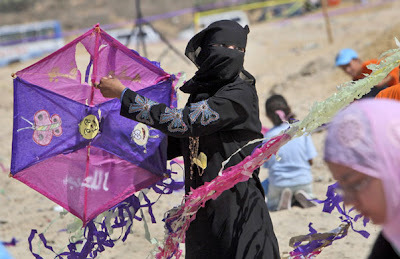 "There is a glorious symbolism about thousands of children in the world's most locked down community heading to the beach with beautiful kites they have created themselves and showing the world that they are able to have fun like kids anywhere and indeed, be number one in the world," Chris Gunness, the UNRWA spokesperson, said. 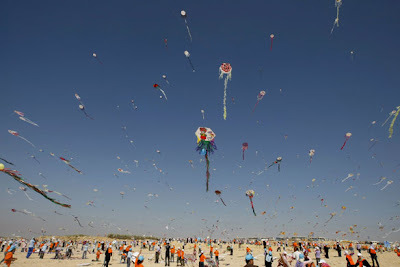 "Thousands of kites, soaring skyward with kids gazing upward allowing their thoughts to rise up from the grind they confront on the ground: it is a symbol of the quest for happiness, freedom and human fulfilment," he added. The event's organisers say they have succeeded in inspiring the children of Gaza to gaze into the skies above, whether the Guinness record is shattered or not. So as Gaza’s blue skies turned into an array of coloured paper kites, the sounds of children laughing and paper flapping served as reminder to the youth of Gaza that they, too, can be among the world's best despite the odds.